komorikiri (古森霧, old forest fog) is a Japanese Smash 4 Cloud main from Wakayama, Japan. He also has a strong Sonic secondary. He can play many other characters at a top class level as well, including Marth, Corrin and Roy. He was also considered one of the best Bayonetta players in Japan before patch 1.1.6 and is one of the best Mii Brawler players in the world as well. He is overall one of the best Smash 4 players in the world, having taken sets from top players such as MkLeo, Tweek, Dabuz, Nairo, Salem, tamim, Cosmos, Mr.R, CaptainZack, and VoiD. He is considered to be one of the best Sonic players from Japan (along with KEN) and one of the best in the world, as well as the best Cloud player in Japan and one of the three best in the world (along with MkLeo and Tweek). komorikiri is also considered to be one of the best doubles players in the world. He usually teams with MkLeo (winning Super Smash Con 2017, 2GGC: SCR Saga, Shine 2017, and GameTyrant Expo 2017) or Ranai (winning GENESIS 3 and Umebura S.A.T. ), but also does very well with smashers he's never teamed with before as well, for example at 2GGT: Abadango Saga, where he took doubles along with ZeRo, Frostbite 2018, where he won doubles playing with Cosmos, MomoCon 2018, where he won doubles with Fatality and 2GGT: ZeRo Saga, where he placed 2nd with Mr. R.
When he isn't attending tournaments, komorikiri can be found playing friendlies on Ranai's stream (hysranai) or practicing doubles with Misaka (minase_n). komorikiri is currently ranked 19th on the JAPAN Smash 4 Power Rankings and 12th on the Panda Global Rankings 100. He was formerly ranked at the 0 position on the SoCal Smash 4 Power Rankings. komorikiri is notable for always placing within top 8 at Japanese tournaments while using Sonic, seemingly always running into (and losing to) Ranai whenever they both enter the same tournament. He is partially responsible for Ranai's fame after being double eliminated at KSB 2015. komorikiri would eventually form a static team with Ranai, using Sonic-Villager. He would eventually put his name on the board placing 2nd during Umebura F.A.T., where he was notably undefeated. He took games off of Earth, Ally, 9B, Kirihara, and Choco before finally being double eliminated by Nairo. komorikiri quickly picked up Cloud after he was released and made his international debut at Genesis 3, winning doubles with Ranai, with Cloud-Villager, notably coming on top of a 2v1 against Nairo and ZeRo. He received 17th, losing to Mr R and Marss. He then received a ranking of 11th on the first version of Panda Global rankings, as a reward for his placings at Genesis 3 and Umebura FAT. Back in Japan, although he now won more tournaments, his placings became more volatile. komorikiri would then be sponsored briefly by Naifu (a crowdfund hosted by Nairo) to enter EVO 2016, unfortunately receiving 17th losing to Dabuz and ZeRo. komorikiri won Sumabato for THE BIG HOUSE over Taiheita, Shuton and Choco, winning a trip to The Big House 6. At Umebura S.A.T., he lost to Mr R and was upset by Shuton, finishing uncharacteristically at 13th along with fellow smashers Ranai and Abadango. He would then be flown out along with Abadango to 2GGT: Abadango Saga where he won doubles with ZeRo and took 5th, defeating Ally. komorikiri then took 3rd at The Big House 6, defeating previous demons such as Mr R and Nairo, utilising both Sonic and Cloud. Shortly after announcing a 1-year break from school, he was picked up by 2GGaming and continues to place consistently both overseas and at home. 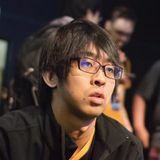 komorikiri is a top player in Pokkén Tournament, notably placing 13th out of 1,180 entrants at EVO 2016.
komorikiri picked up Bayonetta after she was released, won a tournament with her, and was considered the best Bayonetta for a month or so until he retired her from competition. komorikiri is partially responsible for Sumabato's current ruleset regarding Miis, having laid terror to the bracket with fully unlocked Mii Brawler. komorikiri is known for having a huge passion for the Fire Emblem franchise as his tag is often "Fjorm" from the game Fire Emblem Heroes, he also often likes to pull out Fire Emblem characters in tournament, such as Marth, Corrin, Roy and Lucina and has even taken a set off of CaptainZack with Roy, and had a last hit game 5 set vs Larry Lurr with Marth. However, he mostly sticks to Cloud and Sonic. komorikiri is also known for being the one to notice the launch ratio being set to 0.9 at GENESIS 4 in his set vs Captain Zack. This incident became a notorious meme on Twitch livestreams whenever someone survives at extremely high percents. This page was last edited on April 21, 2019, at 06:01.